Studies at STOU are not confined to traditional classrooms. The STOU distance learning system makes quality higher education accessible to all, providing students with the freedom to study and interact according to their individual circumstances and locations. Courses are developed by course teams and then delivered to students through distance media. STOU has one main campus for administrators and instructors as well as an extensive network of study and service centers throughout the country. Study programs are made up of many required and elective course blocks. Each course block contains 15 units, and students are expected to complete them at the pace of one unit per week (15-week semester). Students must enroll in at least one course block (6 credits) per semester, with a maximum of three course blocks per semester for a bachelor’s degree and two for a master’s degree. In addition, the university organizes an optional summer term, during which students are able to take one course. Students must complete all the required course blocks within a time frame of no more than three times the typical period of study specified for the program. The accessibility of STOU’s study programs is maximized through the broad variety of educational media the university uses. The array of educational media makes STOU’s distance education programs accessible to people in widely varying socio-economic backgrounds and geographic locations. The variety of media and study methods also encourages interaction between students and university personnel. 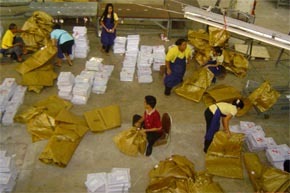 Originally, the main teaching materials were textbooks and workbooks mailed to students. Now, the university follows the STOU Plan 2000 in providing distance education courses. According to this plan, course blocks can be presented in two ways: print-based and computer-based (e-learning). As technological capabilities increase throughout the country, STOU continually explores opportunities to implement new media. 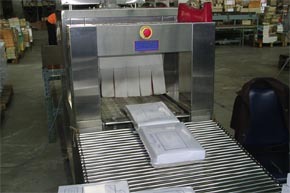 For print-based courses, textbooks and workbooks are mailed to students along with other course documents. 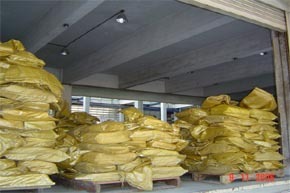 Supplementary audiovisual materials may be included as well. For maximum accessibility, most STOU programs are print-based, but they still make use of the full array of supplementary media listed below. Though STOU has been involved with implementing e-learning (the use of computers in education) since 1985, it wasn’t until the STOU Plan 2000 was adopted that the university outlined a clear plan for delivering the main content of study programs via e-learning. 2005 marked the first large-scale online learning project at STOU. ATutor was chosen as the Learning Management System (LMS). 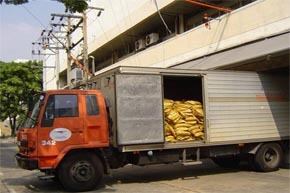 In 2009, D4L was introduced as another LMS option. When the main media is computer-based currently use the D4L+P platform. They contain the same number of units as print-based courses, but the online environment allows more collaboration and student-teacher interaction. The units (called modules) contain both individual and group tasks. 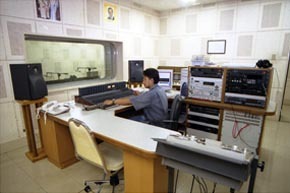 Radio and TV broadcasts are a unique and valuable part of STOU courses. Five radio and five television programs are provided for each course block. 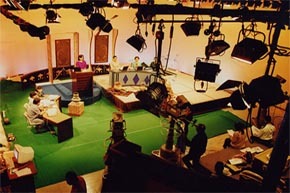 The programs are usually produced in STOU’s Educational Broadcasting Production Center. All key hard-copy study materials (mostly textbooks and workbooks) are mailed to students each semester. The textbooks go through at least two revisions before being printed by the university press. Finally, the books and other materials are sent to students by the Office of Educational Services.